This was harder than it should have been so I’m documenting it. If you get a complaint about the schema, it defaults to the username, pass in the correct schema name after -s.
now you can open <output directory>/index.html to get amazing info on your postgres database. Above is the output for the dellstore2 datamodel. 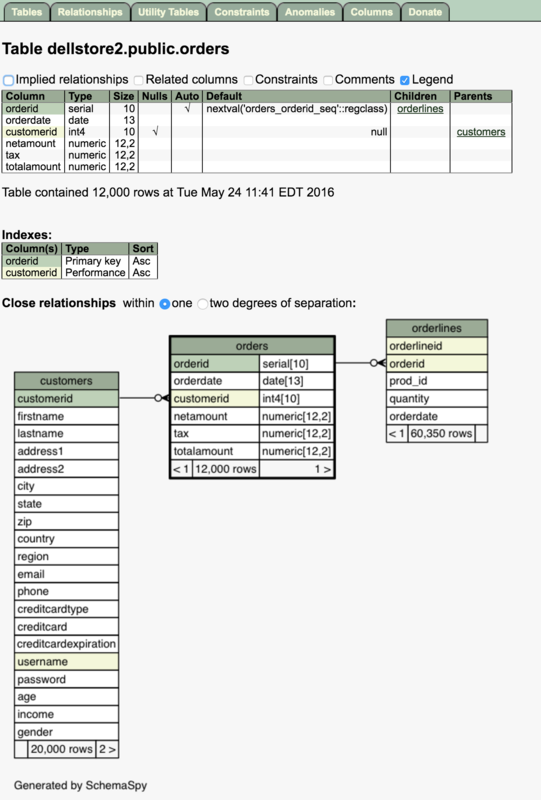 You can drill down to focus on a single table and its relationships. Let’s isolate ‘Orders’. You can test it out yourself dellstore SchemaSpy. 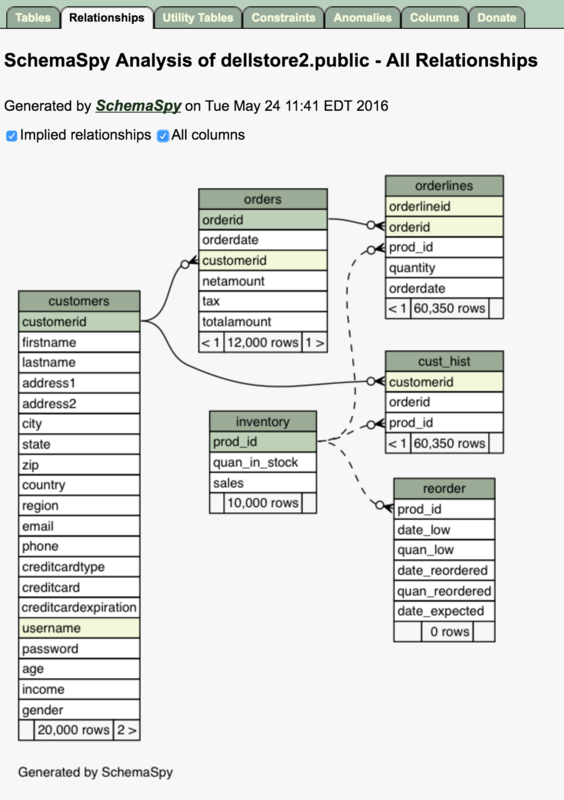 Hopefully someday I’ll be able to get a postgres schema to load in wwwsqldesigner but I couldn’t figure it out. This way I could send my friends a link to my data model. For other applications, like weka you would want to place the jdbc driver in the classpath.